Aftermath of a Disaster: Stay and Rebuild or Relocate? 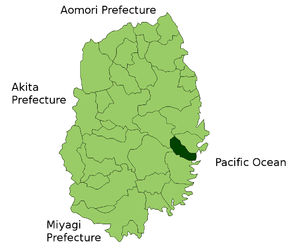 As of October 2009, 15,590 called Otsuchi home, according to the city. The Iwate prefectural police say, so far, the death toll stands at 504 people, with 1,048 missing. The police caution that the numbers are likely not accurate, because the tsunami wiped out entire families in Otsuchi, so there’s no one to report missing or dead people. Almost 6,000 people are homeless. The choice to stay or go is complicated by the loss of the city’s leaders. On the day of the disaster, Otsuchi’s city hall turned into a rapid command post. The mayor, 69-year-old Kohki Kato, led the charge to set up the command center outside the city hall, minutes after the magnitude-9.0 earthquake struck. The mayor and his government had warning the tsunami was coming and evacuated to the second floor of the city hall, believing they were safe. The tsunami swallowed nearly the entire building except for the rooftop, where some of the city workers stood. More than half of the city’s leaders are dead or missing. Among those killed was Mayor Kato. The harsh reality of this situation suggests that recovery for some communities may take many years, if not one or more decades. Yet many of the “experts” interviewed on TV shows, such as CNN, talk about the recovery– for all of Japan — from one to 5 years. Even a World Bank report states 5 years. Many of those interviewed are from the world of finance and business, and of course their orientation is to focus on those aspects. Since all too few people are experts in long-term recovery, for large cities and for nations, we are not getting the full picture, in my view. Sadly, we lack a cohesive body of recovery theory and also lack a knowledge base of case studies of recovery, so there is no objective basis for discussing the duration of the recovery process for complex disaster events. This entry was posted in Recovery Framework, Recovery Theory, Redevelopment by recoverydiva. Bookmark the permalink. Great post! To be or not to be? That situation may face two dozen Japanese communities. Also as you point out the elderly often live alone in rural Japan with their children gone to the bright lights of Tokyo! Several communities may well have to be permanently relocated because of radiation levels. The GOJ is just now entering some of the rural villages in the disaster impacted area. And in the meantime the rest of the tightly coupled Japanese economy loses steam due to disruptions to the supply chain. You are right about the decision to stay or relocate. It is one that many cities and smaller towns have been forced to wrestle with. My research in Honduras points out that of the seven intentional communities set up after Hurricane Mitch (1998), a large majority believe their life is much better in their new community than their old neighborhood in the capital city Tegucigalpa. Even though we know that relocation is difficult, expensive, and takes a committed effort by government or NGOs for up to decade after resettlement, my findings illustrate that people have a better quality of life and much less vulnerability to disasters in the future. Thanks, that is good to know. Could you supply a citation or URL to your work, please. I would appreciate more details on the resettlement.